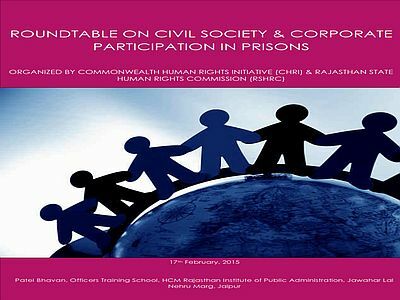 The Prison Reforms Programme of Commonwealth Human Rights Initiative (CHRI) jointly with Rajasthan State Human Rights Commission (RSHRC) organised a one day roundtable on ‘Civil Society and Corporate Participation in Prisons’ on 17th February 2014. The panel of speakers consisted of Dr. M.K. Devarajan, Member of the RSHRC, Ms. Maja Daruwala, Director of CHRI, Mr. R.K. Saxena, Retd. Based on its study on the shortage of police escorts and remanding practice in Rajasthan, CHRI filed a PIL in the Rajasthan High Court in July 2014. 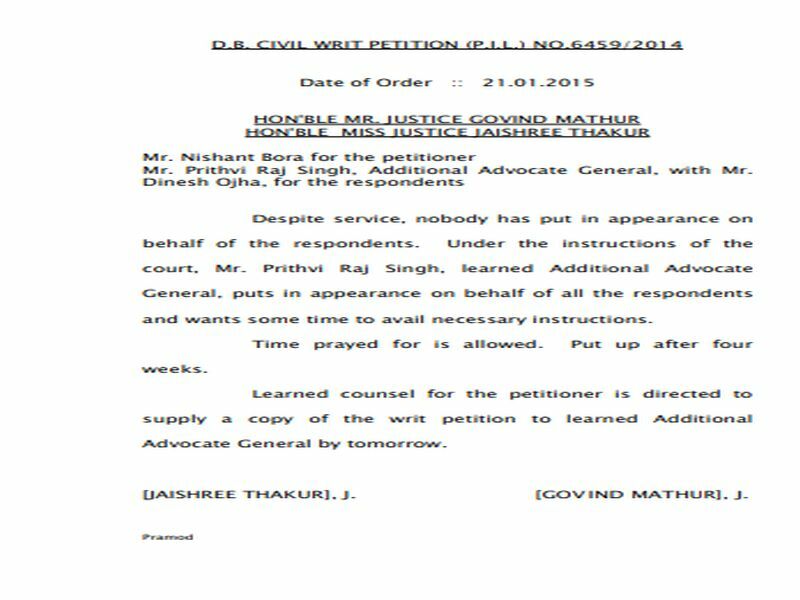 The case was admitted by the court on 31st October 2014. The PIL seeks adequate allocation of police escorts and direction to stop the practice of mechanical remand in Rajasthan.